Pantone’s color of the year 2016 is a bit different than in the past, in that there are actually two colors – rose quartz and serenity. 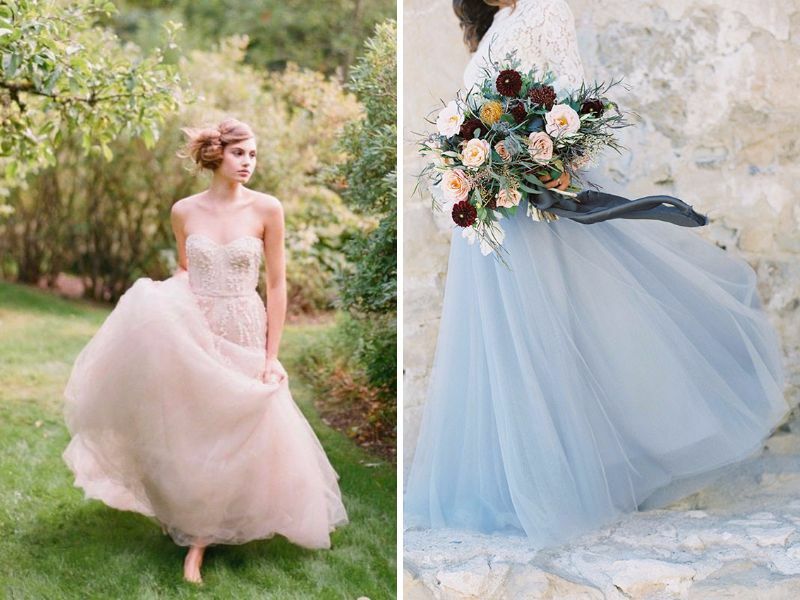 Both of these blend together in perfect complimentary ways, and have already become popular choices for brides-to-be when it comes to wedding colors. 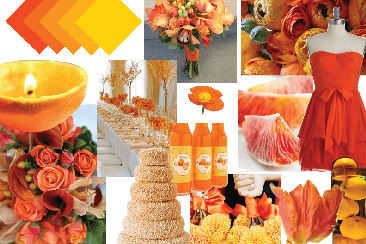 Read on for 20 unique ways to incorporate these colors into your big event. 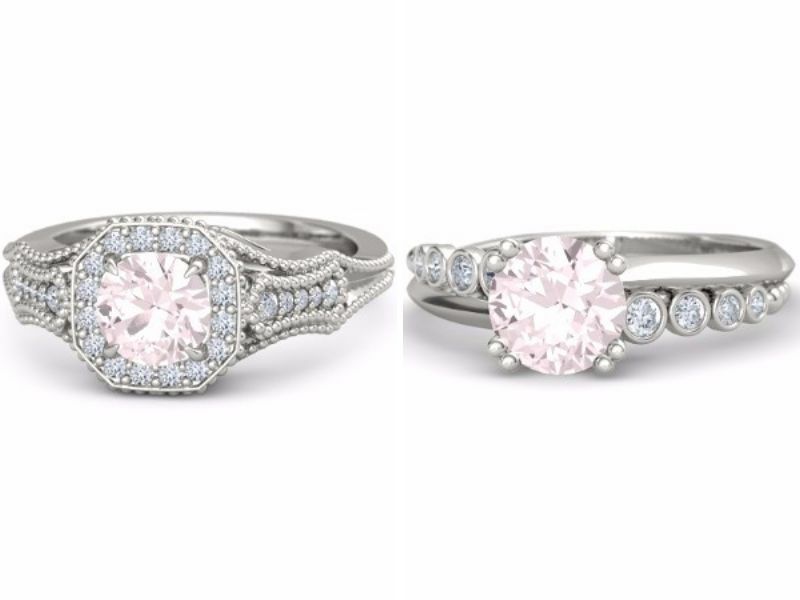 Forget the diamond solitaire, and look towards rose quartz as a beautiful option for your ring. 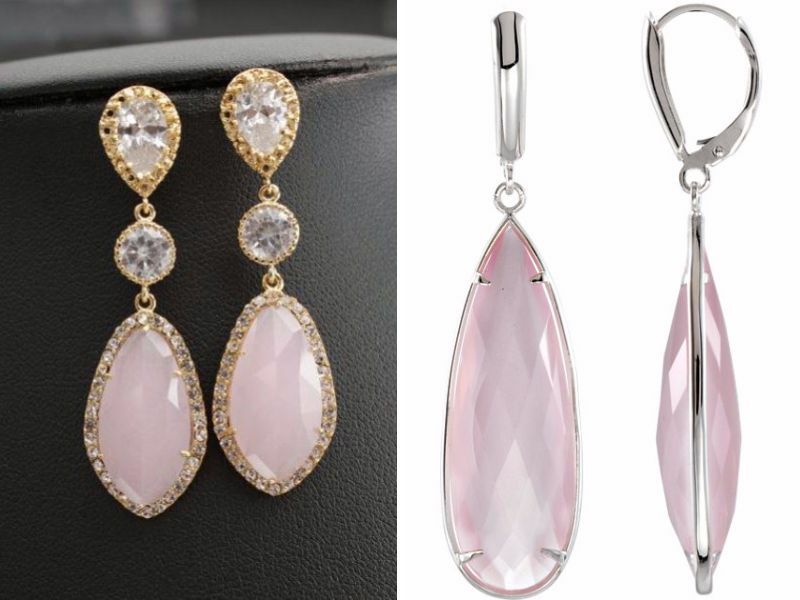 Not only are the prices far more friendly, but the soft pink of a rose quartz can be dressed up or down depending on the cut and style of band. 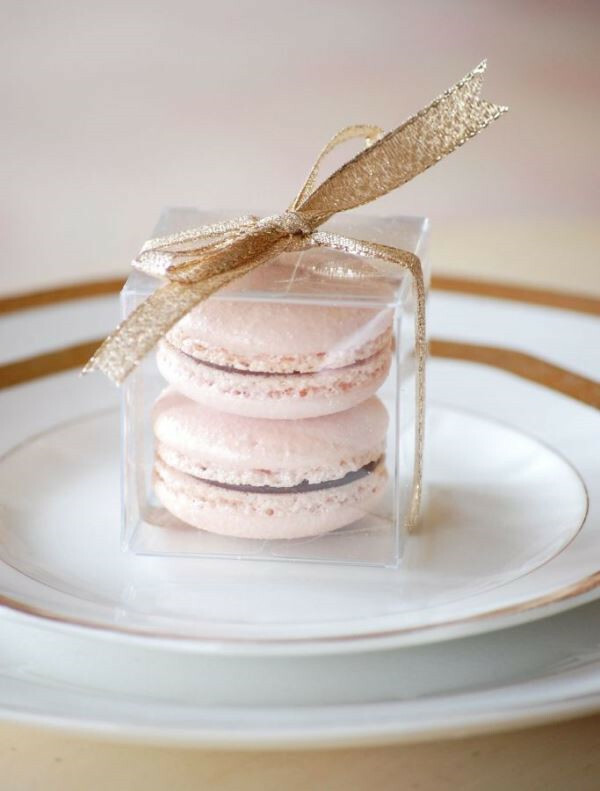 You can do just about anything with these colors when it comes to dessert foods for your wedding. Pink and blue pastel cupcakes are delicious and suit your style, or top off cookies and small bites with your initials in rose quartz or serenity frosting. 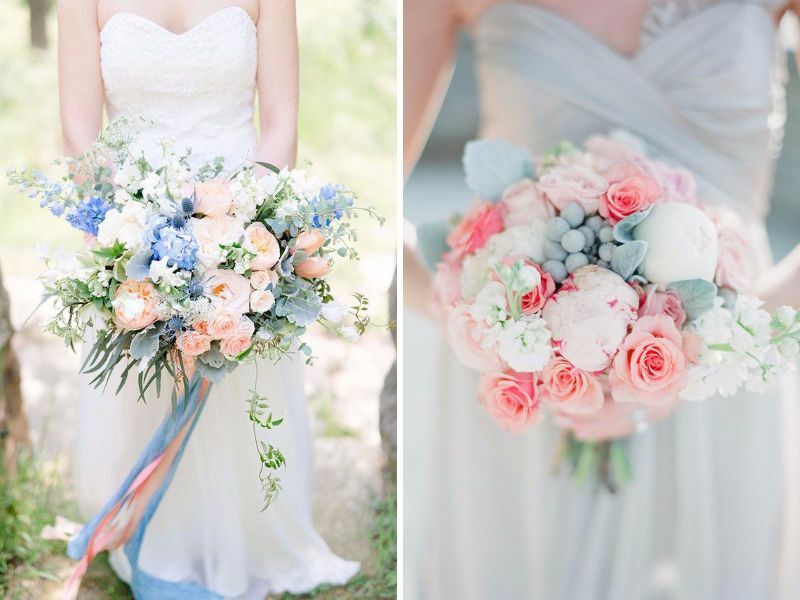 White dresses are out, and color is in for 2016! Take advantage of the pastel hues of the color of the year and opt instead for a pink or blue dress. You’ll look glamorous with a unique and trendy spin. Pastel hues are perfect for a soft makeup with glamorous effects, making both of these colors easy to use in any style. 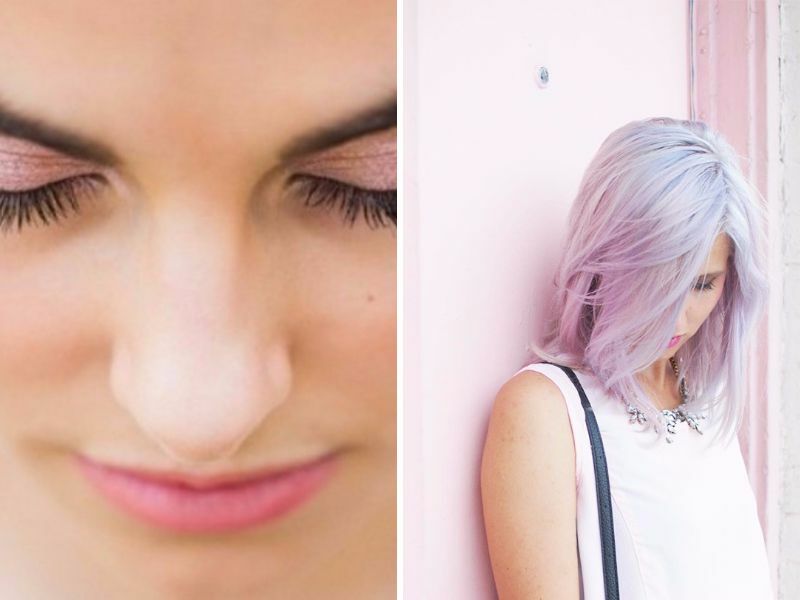 Take things to another level by incorporating serenity or rose quartz into your hair color – pale hair dye has become a huge trend in recent years. Rose quartz is an excellent gemstone to wear on your wedding day. Not only is it more ethical than diamonds, it can give you a soft and unique look for a significantly lower price. You can find everything from pendants to earrings featuring the stone, so there’ll be options for all styles. Change up your dress and change up your shoes when it comes to all white. Mix-and-match depending on the colors you choose for your dress, and for a really unique look, find shoes that incorporate both colors. Not to mention, you’ll probably find far more occasions to wear them again in the future. The two choices for color of the year 2016 are perfect for bridesmaid dresses. Not only do the two work perfectly together for a little mix-and-match, all of your bridal party will be thrilled wearing these flattering hues. 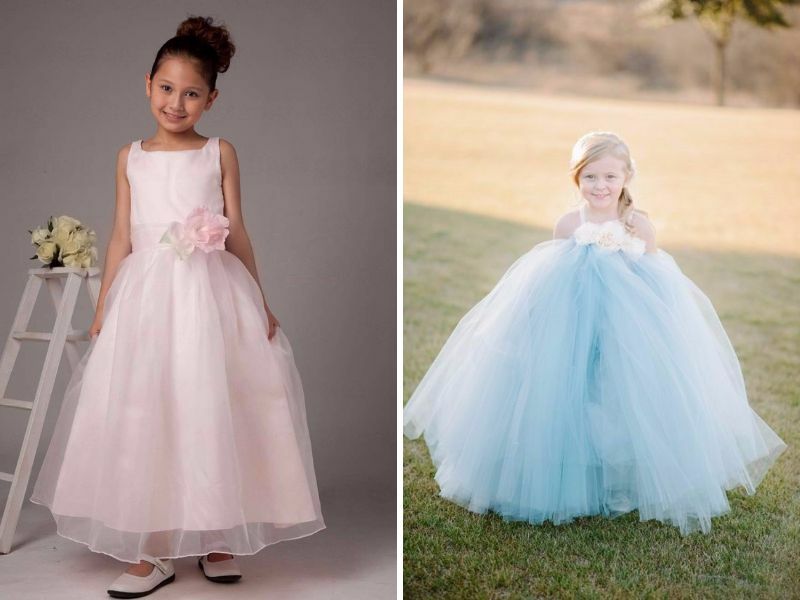 Is there anything sweeter than a little girl walking down the aisle in pastels? Not only will serenity or rose quartz look adorable, but they are also great compliments for many popular flower choices. Combine the two colors in a frilly gown for a cosmopolitan look that is too cute. Depending on the color dress you wear, and your husband-to-be’s adventurousness, ditching a traditional black suit for one of the two color of the year choices can make for a look that is all your own. If you wear pink, have him wear a serenity blue suit, or reverse the two. 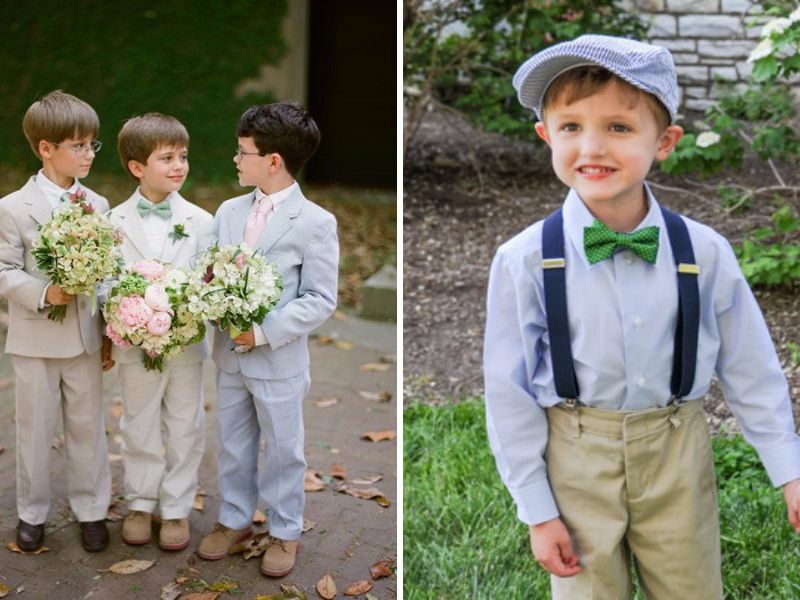 A light blue serenity suit for your ring bearer will look adorable and fit your wedding perfectly. Dress it up with a rose quartz bowtie and you’ve got a perfect ensemble. Reversing the two for a pink suit and blue embellishment is another great option. You have a lot of options when it comes to using the color of the year in your bouquet. For a polished look, bunch blush-colored flowers together with a pale blue bow. For a more casual or relaxed look, group together different flowers in these colors and gather them loosely. 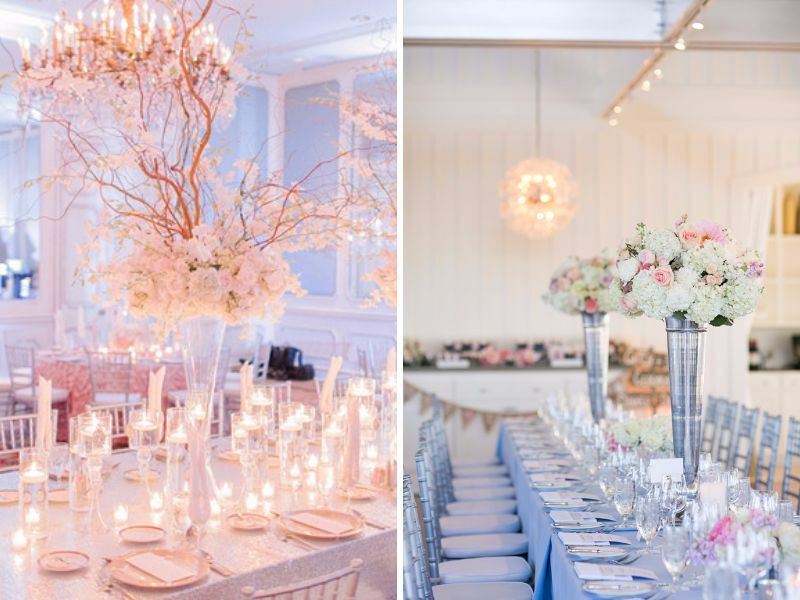 You have plenty of options for using centerpieces in either rose quartz or serenity. Floral arrangements are obviously easy and lovely in these colors, and you’ll only need simple vases to place them around your tables. Find objects like shells or other items that come in these colors to add accents as needed. Using the color of the year 2016 for your cake is the perfect way to cap off your event. 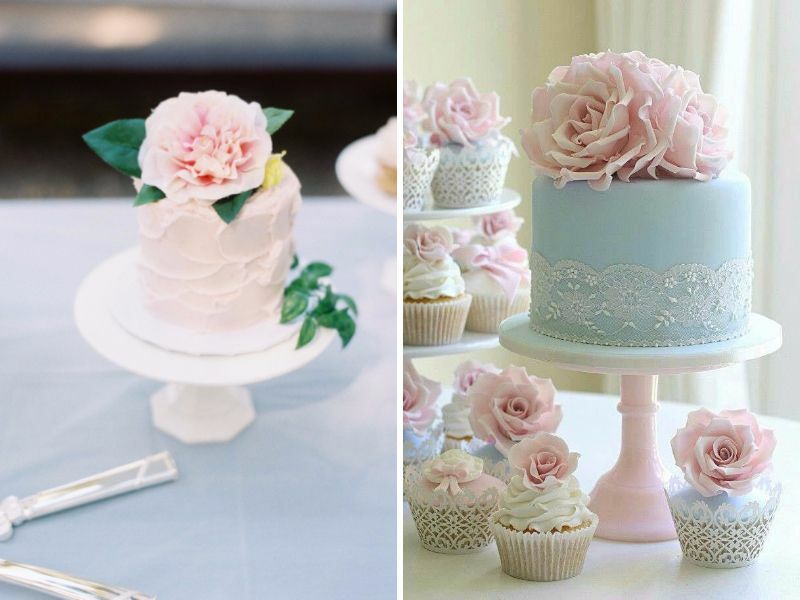 You can play around with both frosting and decorations to bring in blues and pinks. 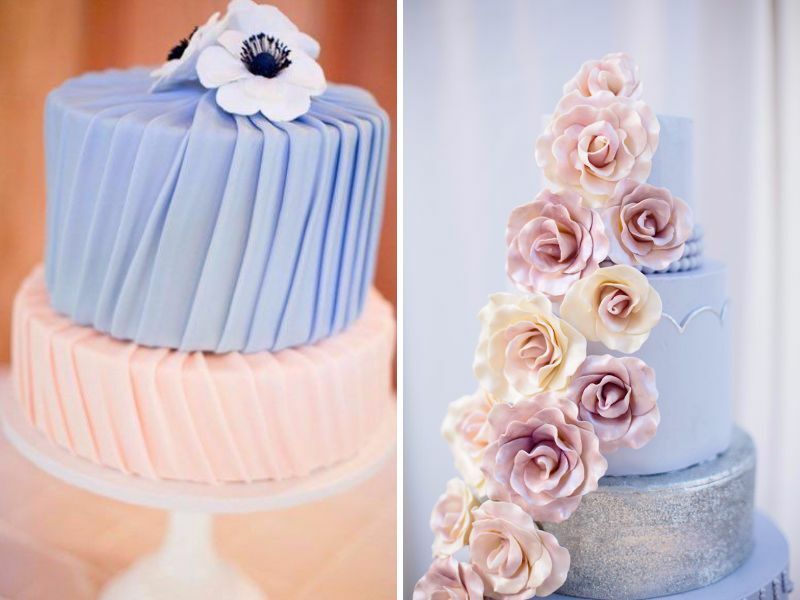 Consider a multi-tiered cake with blue levels, adorned with a cascading pink floral arrangement. 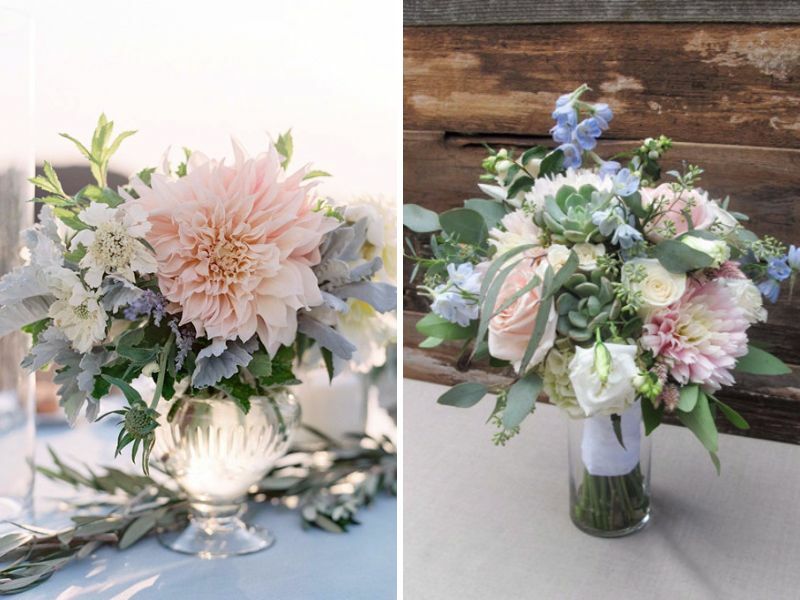 Both of these colors make beautiful floral decorations for your big day. 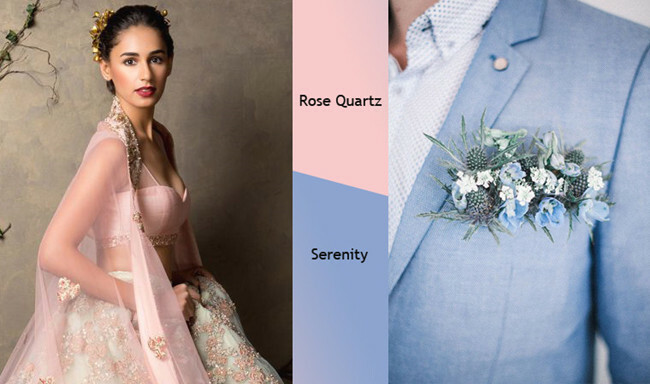 Hydrangeas in pale blues and roses in pale blush will coordinate perfectly with your attire while in-keeping with your color scheme. If you use one color for flowers, tie ribbons around them using the other one. One of the excellent reasons to choose these colors for your wedding is that they are readily available in everything from stationery to linens. 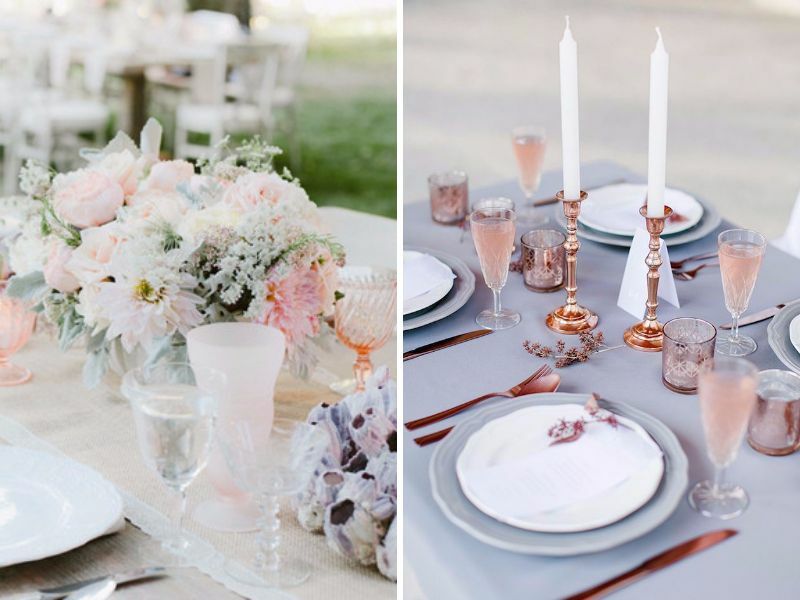 Cover tables with pale pink linens and use lighting or accent pieces to bring in the blue. Your menu can also easily be created with both colors. Depending on the color suit you choose for your ring bearer, consider using the other color for the pillow he will carry. You can embellish this as much as you want, and DIY-ers will find it phenomenally easy to find laces and ribbons in either of these colors. Decorate your invitations with the Pantone color of the year to get your event started off right. 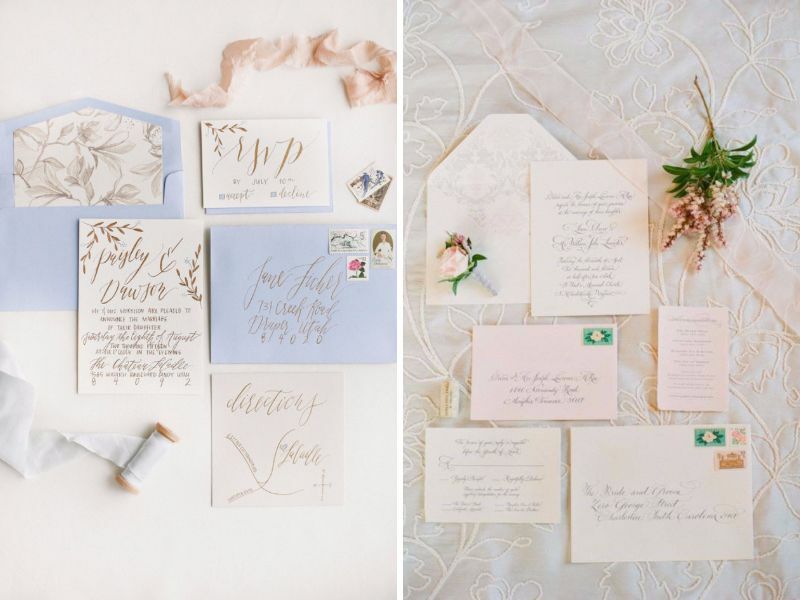 A pale pink stationery can use blue font or highlights, and the reverse can be an interesting but less traditional effect. 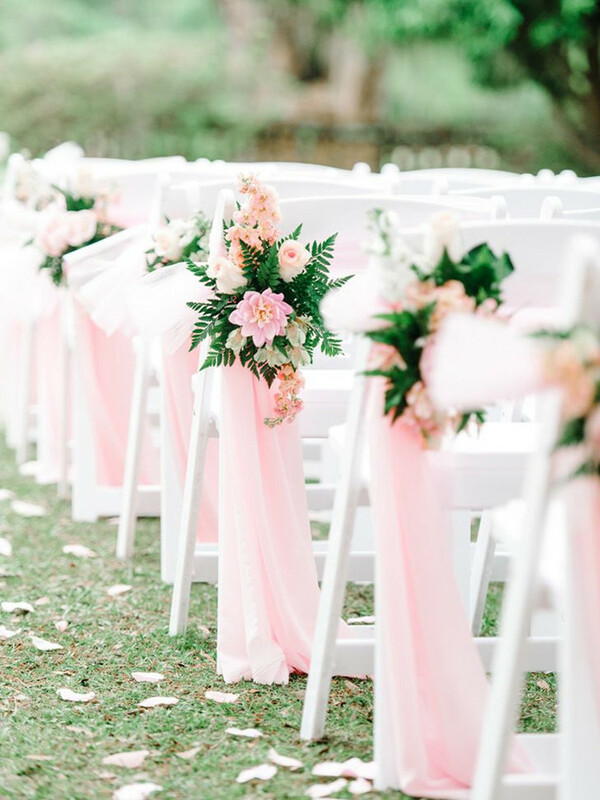 Keep things simple with gauzy chair covers in either rose quartz or serenity, or go all out and find chairs or seat cushions that combine both colors. Tie ribbons in both of the colors on white or solid chairs if you like to make things easy. What better way to drink your color than with a rosé toast? 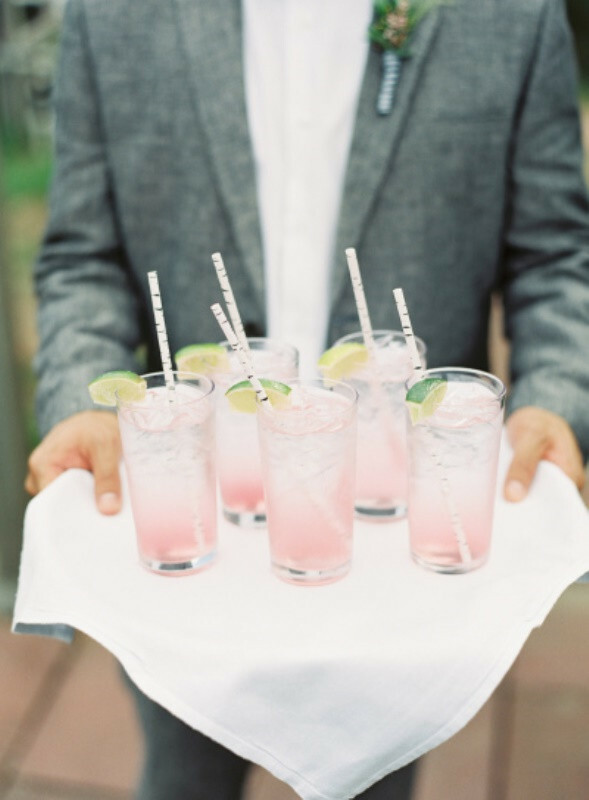 It may be hard to tempt your guests with blue drinks, so stick to the champagne for colors when it comes to drink options. 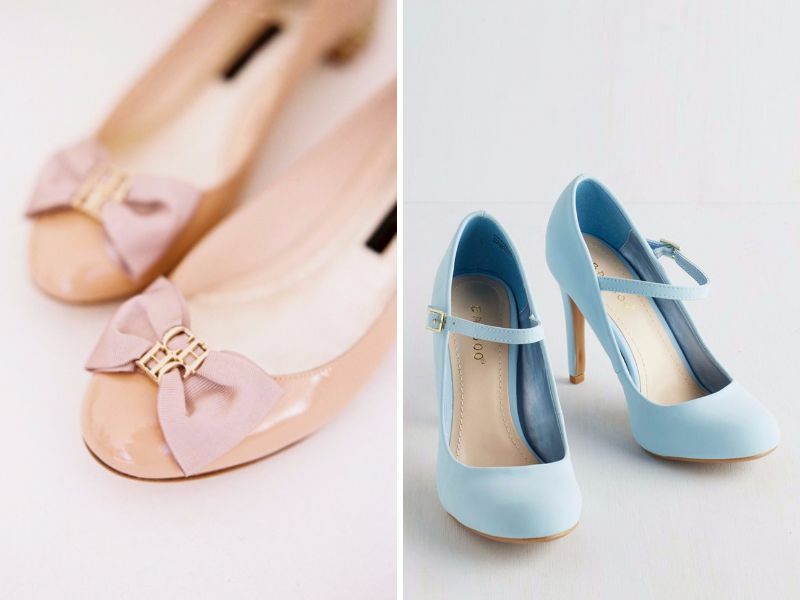 The great thing about a pastel color of the year 2016 is that you’ll have plenty of options available for favors. Chocolates and mints are popular to give to guests, and you can easily find both items in either color. Looking for the best combinations of colours matching coral? Here is a complete list of the trendiest and classy colors that can be paired best with coral. 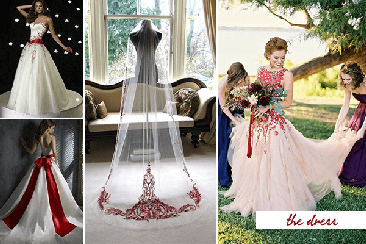 Considering having a red and white wedding? Read on to get inspirations! We have collected gorgeous pictures and brilliant ideas to add passion and love to your dream day! With little knowledge about wedding color palettes, choosing the right color combination for your wedding can be a challenge. Then draw some inspiration here. 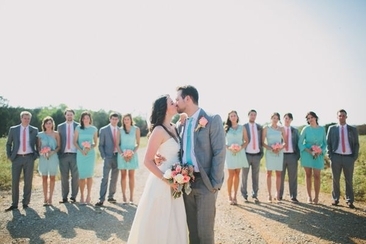 Summer wedding colors can range from bright and bold to light and simple. 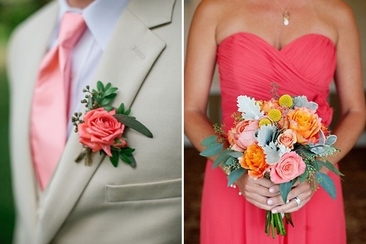 Find a variety of classic color palettes you can use for your summer wedding here. 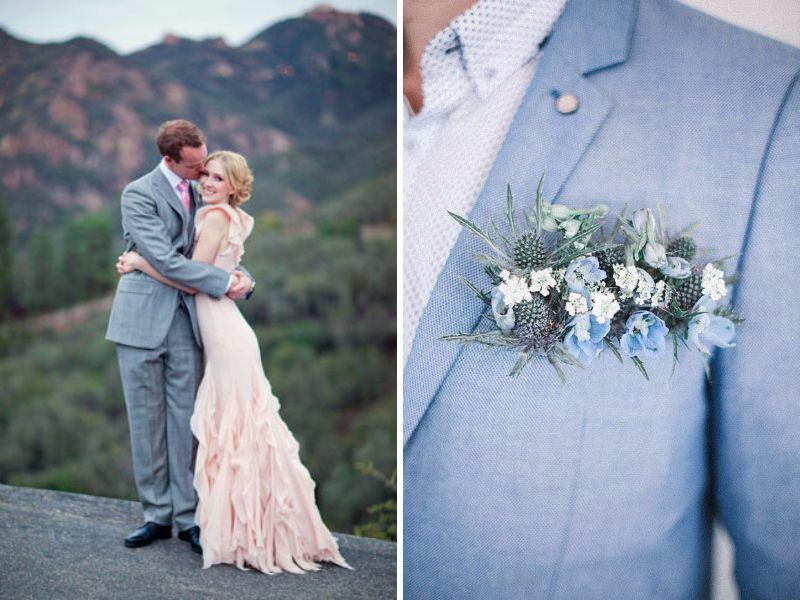 Bring grace and class to your special day with the charm of lavender and grey wedding colors. 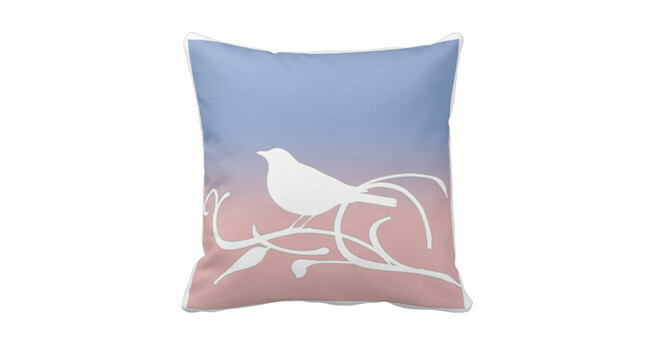 Here are some great ideas to bring these soft colors to life! 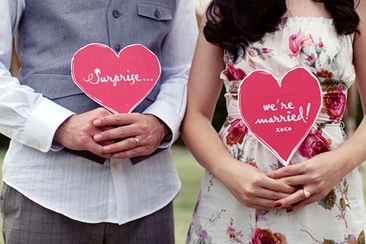 Surprise weddings are becoming increasingly popular. If you think this is the right choice for you, here are some surprise wedding ideas to knock the socks of your friends and family members. Server responsed at: 04/18/2019 9:22 p.m.